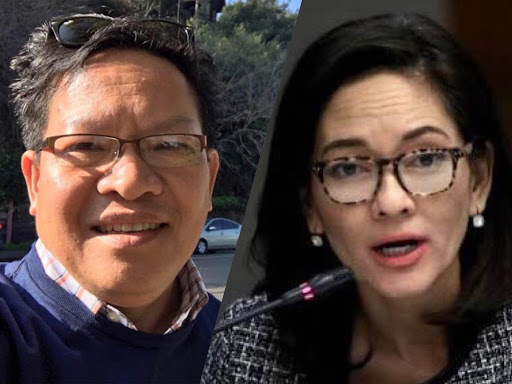 Opposition Senator Risa Hontiveros called the new government being proposed by the President Rodrigo Duterte administration as a “credibility-challenged federalism” which a Finance Director for San Francisco Housing Authority warned to be a shameful statement especially when countries like Canada, Australia, and Belgium prosper through the federal parliamentary system. Temple University graduate Edwin Jamora emphasized that the real credibility-challenged government is the presidential system where Hontiveros sits as Senator. The senator had commented that “the climbing rates of inflation can deflate his (Duterte) public support and approval” which Jamora retorted by presenting the survey where Duterte had 88% approval ratings from the public even at the peak of his “stupid God” remark. Hontiveros had proposed a cash transfer to the poorest ten million Filipinos which Jamora asserts is not empowering the masses. “This is not empowering our people. This is making them dependents of the government!”Jamora said. The Finance Director and a staunch supporter of President Duterte said it is better to train those people to gain skills that will make them employable rather than making them totally rely on government support. The senator emphasized “speed, speed, speed” for the Duterte government’s “build, build, build” program, which Jamora says is demanding of her and her “gods” during the previous administration had been lax on this matter. “And then tinitira pa nila nang tinitira ang TRAIN 1 kung saan yong net receipts nung TRAIN 1 ang ginagamet pan-tapal sa kakulangan nang financing sa BUILD BUILD BUILD! Di ba yan ang mga pinag-tatalak ni Bam Aquino na itigil ang TRAIN 1?” Jamora furthered. 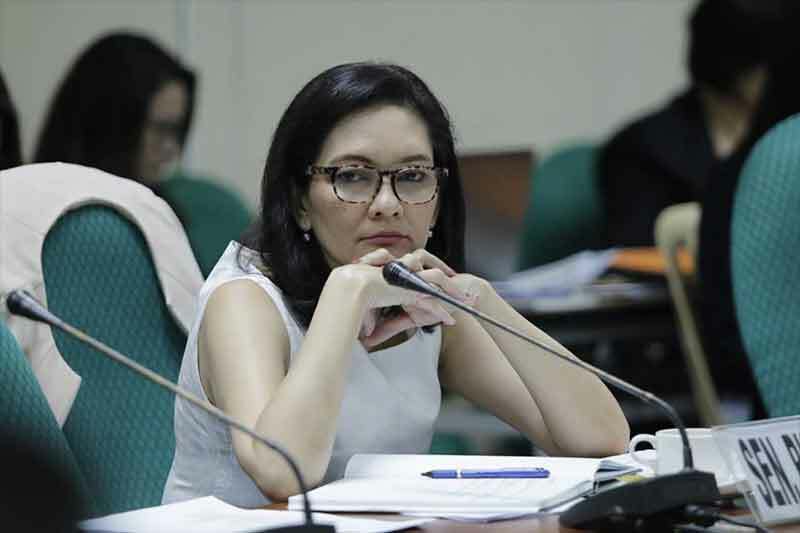 If Hontiveros demands to expedite the infrastructure program of the current government, then she should know that it is the TRAIN, which she is criticizing, that allows for its acceleration. Jamora also pointed out the flawed logic in lowering prices then asking for higher pay when these dynamics follow the law of supply and demand. And as much as Hontiveros want to cut the Value Added Tax (VAT), Jamora explains that lobbying for an alternative gap financing should be sought so as not to hamper the infrastructure program. SI RISA HONTIVEROS?! STOP FEDERALISM DAW?! MINAMANDUHAN NA SI TATAY DIGONG ON WHAT TO DO?! ANALYZE NGA PO NATEN!!! “The Duterte government must set its priorities straight!”! ABA! CHIKADORA SI ATEH! MINAMANDUHAN SI TATAY! “Instead of insisting on its credibility-challenged federalism, the Duterte government must focus its attention on finding ways to increase the citizens’ purchasing power to help them dodge the impact of the sky-high inflation rate,” Hontiveros said. Senator! Dahan-dahan po nang pagsasabi nang credibility-challenged federalism dahil nakakahiya naman po sa Canada! sa Australia! sa Belgium! sa Austria! at sa iba pang mga first world countries na puro FEDERAL PARLIAMENTARY system tapos tatawagin mo lang pong credibility-challenged ang federalism? Yon pong walang credibilidad is the PRESIDENTIAL SYSTEM na kung saan Senador ka! And then, she went on to advise President Duterte to read the writing on the wall. ABA! NAG-MAMAGALING! ABER AT TINGNAN NATEN ADVICE! ‘’The climbing rates of inflation can deflate his public support and approval." Anong deflate?! Even during the very hot month of "stupid god" comment by Duterte eh nasa 88% pa rin ang approval ratings nya! Knock on Rappler's door kasi mismo sila nag report! "Ang kailangan ng mamamayan ay hindi nakakasukang ‘pepedederalismo’ kundi ekonomiyang magpapagaan sa kanilang paghihirap mismo." AHHHH.. Ok. Agree kami seu. Hayop na pepedede yan! Yaan mo. Pinag-mumura na namen ang mga buraynina nya! Ok?! AND THEN she went on to propose a 5-policy prescriptions for the government to address the spike in inflation. Pero Madam Risa should realize that we have one of the best economic teams mga friends and they're on top of this inflation which was started by world oil price hike and also there is an inflation effect also from the BUILD BUILD BUILD noh? And also we have to realize that, these are some of the much much needed infrastructure and I could emphasize it - CATCH UP INFRASTRUCTURE dahil walang ginawa ang Nanay at Junanaks na Aquino during their time. Sabot?! OK. So let's find out what these prescriptions are! 1.) Cash transfer to all 10 million to all the 10 million poor people. "Ensure that the poorest 10 million Filipino families receive the government’s unconditional cash transfer (UCT) regardless if a family is a beneficiary of the social pension scheme for senior citizens. Bigger families deserve to be compensated to a greater extent and it would be unjust if some of them were denied the unconditional cash transfers. " ANO! @#$%^&* I do not believe in cash transfer~! @#$%^ This is not empowering our people. This is making them dependents of the government! I believe in training these people on how to get the necessary skills to be productive! To get employment! I would rather give them subsidy in public housing! But our public housing needs a total revamp! 2.) Shift in rice policy. "Lowering the price of rice has to be the priority of policy through a shift from quantitative restrictions to moderate tariffs if necessary, but certainly with more timely imports even under the present regime. This must be done while providing protection to and ensuring the competitiveness of Filipino farmers." Eh di ba yan naman na talaga ang policy nang NFA? What happened at NFA was more on "I am the goliath here!" kinda thing. I will leave this discussion avec mon cher ami Luminous by Trixie Cruz-Angeles & Ahmed Paglinawan. And oh! Yes, I was happy to see Jason Aquino nga pala when I was home in July. Wala! Sinundan ko si Trixie. Pag-pasok nya sa opis ni Jason, pasok den ako! 3.) Speed up infrastructure build-up. "There must be “speed, speed, speed” with the government’s “build, build, build” program, even as we judiciously scrutinize the loans that were acquired for the said big-ticket infrastructure projects. It must also prioritize the hiring of Filipino workers. With trillions of pesos worth of infrastructure projects, they can create thousands of direct and indirect jobs. Special focus on infrastructure spending in irrigation can also quickly help address the high cost of domestically produced rice." ABA! KUNG MAKAPAG-MANDO ANG ATEH! Considering na nakahilata lang sila during their time or at least ang mga DYOS nya noong panahon! And now that Tatay is trying to catch up, speed, speed, speed? And then tinitira pa nila nang tinitira ang TRAIN 1 kung saan yong net receipts nung TRAIN 1 ang ginagamet pan-tapal sa kakulangan nang financing sa BUILD BUILD BUILD! Di ba yan ang mga pinag-tatalak ni Bam Aquino na itigil ang TRAIN 1? Eto ang malaking katangahan. Kung speed, speed, speed - tapos ipapatigil ang TRAIN, me pera ka ba Risa at Bam na itapal muna sa kakulangan sa BUILD BUILD BUILD?! "The state must help workers get a higher take-home pay to increase their purchasing power. With the unforseen rise in inflation, wages must be responsive to today’s economic reality." Typical na kumunista. Basta ang alam, "ITAAS ANG SAHOD" without thinking kung ano ang epekto nang mga drastic decisions. Pag tinaas mo sahod, either mabwisit business at mag-sara or ipapasa sa consumers yong increase nung cost. Tataas prices. Ano na naman bagong mantra? "IBABA PRESYO!" pwede ba yon na yong prices eh dictated nang law on supply and demand? Pang election campaign lang po tong wage increase! Tse! 5.) Cut the Value Added Tax (VAT). "The government should certify as urgent the passage of Senate Bill No. 1671 otherwise known as the “Bawas VAT” bill to provide relief for the lower economic deciles of the population affected by the TRAIN law by lowering the existing VAT rate to 10 percent from the current 12 percent." Eto lang masasabi ko ki Risa. Anything to lower VAT is good. But getting rid of VAT is even better. Ang kaso, binilang na ang VAT in BUILD BUILD BUILD financing. Mag-isip isip ka rin Risa. We all want to erase VAT. 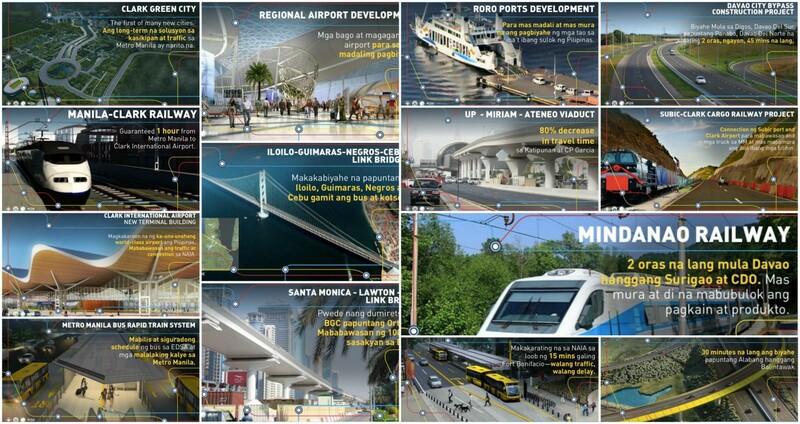 Dapat ang mungkahi is to find alternative gap financing para hindi ma-apektuhan ang infrastructure program! Finally, sampalin mo si Recto! Friend mo sya! Sya ang nag-pahirap sa mga Filipino!